Experience an action adventure on the edge, filled with parkout elements and a dark dystopian society this Windows, Xbox 360, PlayStation 3 is a highly unique offering. Your main character in Mirror’s Edge is Faith, known as a “runner” who is a courier charged with delivering messages without the government surveillance interfering. This means using the rooftops and networks of ventilation shafts to reach your objective in a game that is mostly about three dimensional platforming. All of this parkour takes place in a colourful world that makes it distinct from other games that are traditionally more darker in design. 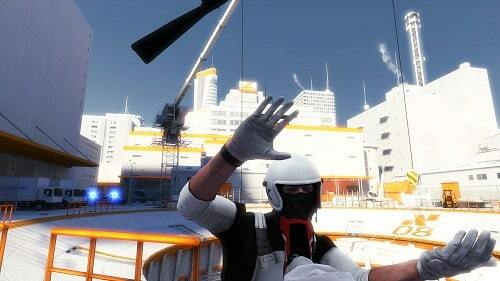 While the world might be a colourful one the themes that Mirror’s Edge explores are not. You’ve got a dark city that on the surface seems like a utopian society, although once you dig a bit deeper is clearly a dystopia with a totalitarian regime dominating the populace by controlling all communication and media while banning many freedoms. 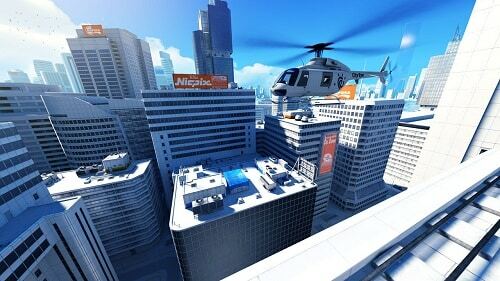 Mirror’s Edge is set nearly two decades after a large scale protest that resulted in the deaths of many protesters and civilians and follows the adventures of Faith in her struggle against the government as she becomes more entangled than she could have ever imagined. Gameplay is essentially a parkour experience but the way it’s designed is the impressive element, most notably is the realistic camera movement that follows Faith’s actions closely. This is combined with visuals of Faith’s body that assists in conveying player movement which helps you become a runner within the game. Momentum is key to Faith with many gaps requiring sufficient momentum to clear and thus Mirror’s Edge is all about chaining your movements off the objects within the environment. Without this players will be unable to traverse the object in question and have to repeat their attempt. The majority of parkour is contextual based with your upward movement button performing jumping, climbing or grabbing actions depending on the given scenario. Meanwhile the downward movement results in rolling, sliding or crouching. To assist players with determining the combination of moves they’ll need a Runner Vision system will highlight particular environment objects when Faith gets close, as the game goes on though this is reduced to just end level locations. For further help players can use Reaction Time which gives a few seconds of time slow down to plan your next jump without sacrificing your built up momentum. Ultimately your goal in each campaign level is to find the best route from point A to B. Unique free running game packed with parkour. Play as Faith and explore a dystopia society. Complete the campaign or opt to challenge yourself in the time attack levels. Contextual controls make it easy to fly over roof tops and slide under obstructions. Available on Windows, PS3 and Xbox 360.